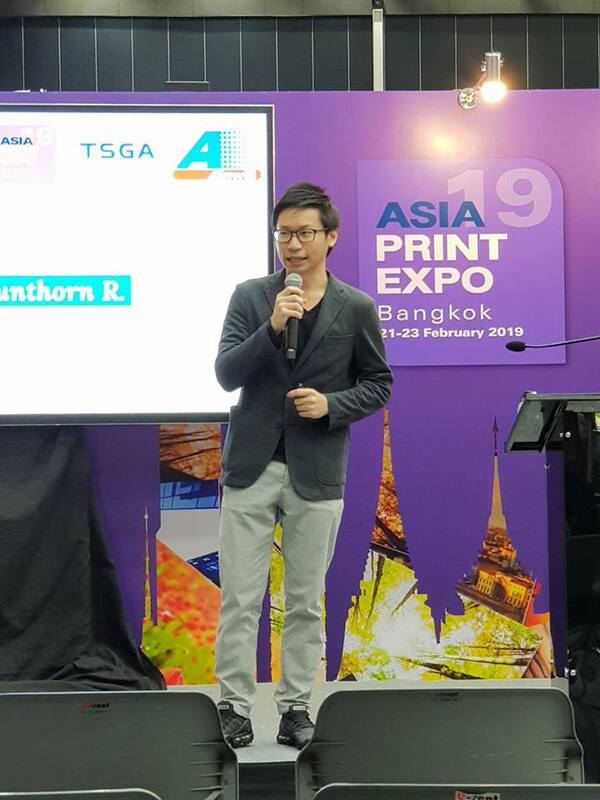 22nd February 2019 Mr. Arnunthorn Ruengpattaradet was honored by FESPA, together with Thai Screen Printing & Graphic Imaging Association (TSGA) as a lecturer for the seminar titled "The Future of Energy Curable for Coating" at Asia Print Expo which exhibited during 21-23 Feb 2019 at BITEC Exhibition and Convention Center ( BITEC). The details is about the type of energy used in printing system for curing the inks such as UV, which is a technology that is widely used in the printing industry. Also LED UV, is an interesting new alternative that plays an important role in reducing costs and expanding the scope of printing in the field of printing materials, and Electron Beam or what we call "ebeam" which likely to get well known in printing industry and have a huge impact to the environment and food packaging safety.